The timing of the designation of the flags begs a question. Why did God wait until now to instruct the various tribes to carry flags? The Jews had been separated and organized by tribe as soon as they left Egypt, over a year ago. It would seem fitting for them to display their tribal flags from the very start! Rabbi Yaakov Kamenetzky (1891 –1986) explains that recognizing one’s individualism and uniqueness is important. It allows one to play to his strengths and to avoid areas in which he may fail. This beneficial recognition comes, however, with a risk. If we focus on the individual, we can easily lose sight of the greater group of which we are part. God was concerned that if the individual tribes would have been carrying the flags promoting their individual qualities from the beginning, it could have led to competition. There would have been a tremendous risk of discord and fighting amongst the tribes. This was a risk that was not worthwhile to take. 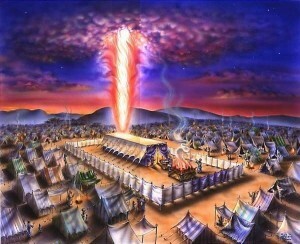 Now, however, a year later, the Jewish people have just finished the building of the Tabernacle. They meticulously followed all of the detailed instructions given by God, and the beautiful and awe-inspiring structure is now complete. In addition, they have just finished learning the intricate laws involved in bring the korbanot, offerings. Their encampment now literally surrounded one focal point, the Tabernacle – their source of spirituality and the special location for service of God. There is no longer a concern that focusing on each tribe’s individual uniqueness will be a cause for disunity, for the focus is now clear on the worship of God. The lesson is unmistakable. While it is important to focus on and develop our unique individuality, we must make sure that it does not get in the way of our sense of connection with our friends, families, neighbors and community. This lesson is especially poignant as we enter the holiday of Shavuot. 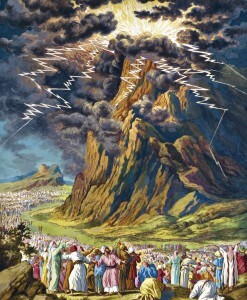 When the Jews arrived at the foot of Mount Sinai, in anticipation of the divine revelation and the receiving of the Torah, the Torah uses the term ‘vayichan’ – and he camped opposite the mountain, instead of ‘vayachanu’ – and they camped opposite the mountain. The Midrash explains that the Torah is hinting to the fact that the Jews achieved complete unity amongst themselves; the Torah therefore spoke about them in singular terminology – they were one unit. This noteworthy achievement was just not a coin cidence, but rather a prerequisite to receiving the Torah. We are about to commemorate Shavuot, the holiday celebrating the amazing gift of the Torah that God gave us over 3,000 years ago. But we must realize that we can only merit to fully utilize and benefit from this gift if we have achdut, unity. The privilege of being the bearers of the Torah is predicated on our efforts to become one unit, taking care of each other, and taking responsibility for one another. 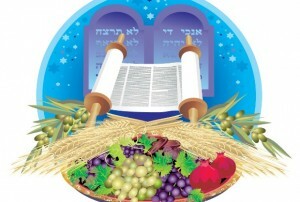 Shabbat shalom, and chag sameach!